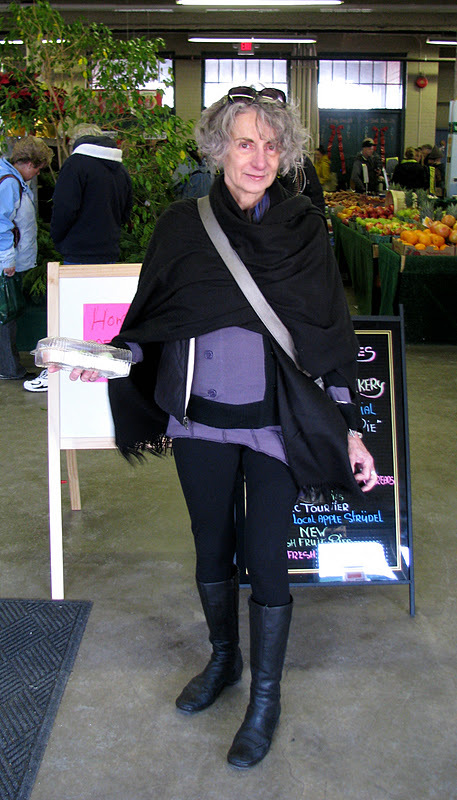 I had noticed this woman at the Farmer's Market before because of the black and grey feather attached to her hair. When I saw her this past weekend, I recognized her by the feather, and noticed that the rest of her style was pretty funky as well. The combination of purple and black looks great with her grey hair, and the layering is functional and stylish.